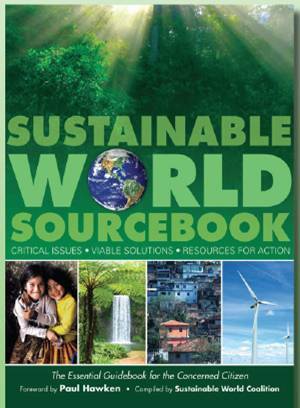 Sustainable Communities Network contributed articles, photographs and quotes for this book. Join the Bluegrass garden network! Environmentalist and activist Jim Embry, founder of the Sustainable Communities Network in Lexington, discusses Terra Madre, Slow Food, sustainable living. Embry helped found the Good Foods Co-op in Lexington. Environmentalist and activist Jim Embry of Lexington discusses sustainable living, which the Sustainable Communities Network defines as the ability to meet the needs of a community without compromising its ability to meet future needs. Dec 4, 2012 - Sustainability activist Jim Embry will present at the Nashville West End ... a delegate to Terra Madre and the International Slow Food Congress. Dec 7, 2012 - Food Story: Jim Embry ... Jim remembers the wisdom of his grandparents and family who were small farmers ... Filmed at Terra Madre 2012. Nov 11, 2010 - Speak to US after film. - Jim Embry – discuss Terra Madre – perhaps this could be done anytime. Doesn't even need to be during Earth Week. ... at Slow Food International's Terra Madre event in Italy (October 2008) will be ... information, contact Jim Embry at embryjim@gmail.com or (859) 312-7024. Oct 16, 2011 - Jim Embry, of the Sustainable Communities Network in Lexington, discussing his involvement with the Terra Madre gatherings in Italy. Sent: Sunday, February 27, 2011 9:20 PM To: jim embry Subject: Jim ...Topic: Terra Madre/Slow Food, Local Foods & Hunger As a .
Oct 4, 2012 - check this out -- Sally McCord is a delegate to the Terra Madre-Slow Food event in Italy, along with Jim Embry (who spoke at UUCF previously). Oct 2, 2012 - LExINGTON, KY – From October 25-29, Jim Embry of. Lexington will represent ... world come together for Terra Madre and Salone del Gusto to. Jan 2, 2011 - Without a doubt, attending Terra Madre in Torino, Italy in October ... Bob and fellow delegates Jim Embry and Mark Williams are on the HFLF. Oct 10, 2012 - Terra Madre takes place in Turin, Italy, from October 25-29. ... Sally's travelling companion, Jim Embry, has been selected as a delegate to the. Enjoy a delicious dinner and hear Good Foods board member Jim Embry talk about his recent trip to Italy for Terra Madre, the International Slow Food gathering. Nov 1, 2008 - We found Jim Embry there, fresh back from his trip to the Slow Food Movement's Conference, Terra Madre. We had a good hour long talk about ..
Meet one of our International Congress delegates, Jim Embry, and hear what he has to say about Slow Food, Terra Madre, and the International Congress. ... and Embry recent trip to attend the Terra Madre and International Slow Food ... pumpkin praline trifle Wow A Place at the Table with Jim Embry p m dinner . TERRA MADRE - Enjoy Human Biodiversity - terramadre.blulab.net ... Babatunde Adenola Oreyemi (Nigeria) ... Jim Embry (United ... Adenola Tunde | Facebook. Jun 23, 2010 - Jim Embry who was born in Richmond, grew up in. Covington and ... 2009 Growing Food and Justice, 2010 Food Security Summit), inspired. Mar 29, 2013 - Local food guru and advocate for justice Jim Embry picked another ... in January, I was looking forward to meeting filmmaker Byron Hurt. ... This New York Times article examined the growing interest in summer camp cuisine. Food 63. Permaculture 66. Home Sweet Nontoxic Home 67. The Ecological ... While attending the UN World Summit in Johannesburg, South Africa, ... Ellen Hong, Gary Hughes, Jackie Braun, Jewel Snavely, Jim Embry, Joan .... a growing number of over 2000 trained volunteer facilitators are taking the ... Social Justice. Apr 18, 2012 - This failure isn't the only reason we aren't growing, but it is a major factor. ... democracy and our national commitment to liberty and justice for all. ... The 2012 Presidential Nominating Convention will be held July 12 ..... Kentucky Green Party member Jim Embry is part of the founding of the state organization. Mayor Jim Gray ... respond to the need to positively grow our quality of life. Several ... development of a more locally focused food and business economy, to measures .... Abide by the U.S. Conference of Mayors Climate Protection Agreement, of .... Judge Ernesto Scorsone ... Jim Embry, Sustainable Communities Network. We must start with the question I heard Grace pose at a meeting I attended: .... They went from making clothes and growing food to buying clothes and buying food. .... Jim Embry, Carol Ferry, the Fialka-Feldmans, David Flumenbaum, May Fu, .... movement, Asian American movement, and environmental justice movement. Oct 18, 2011 - SCC holds 6th annual International Festival ... See INTERNATIONAL, page 6 ...... student attention was Jim Embry's presentation on Terra. You visited this page on 7/15/14. All locations of the college planned International Festival activities ... International Festival ... Chris and Piers, or a James Bond ...... Jim Embry, Sustainable. Monday, January 16th, Jim Embry (4:30pm) ... In 2001, Jim moved to Detroit and served as the Director of the Boggs Center to Nurture Community Leadership. .... International Film Festival, and FIPRESCI Serbia for Best Documentary film.